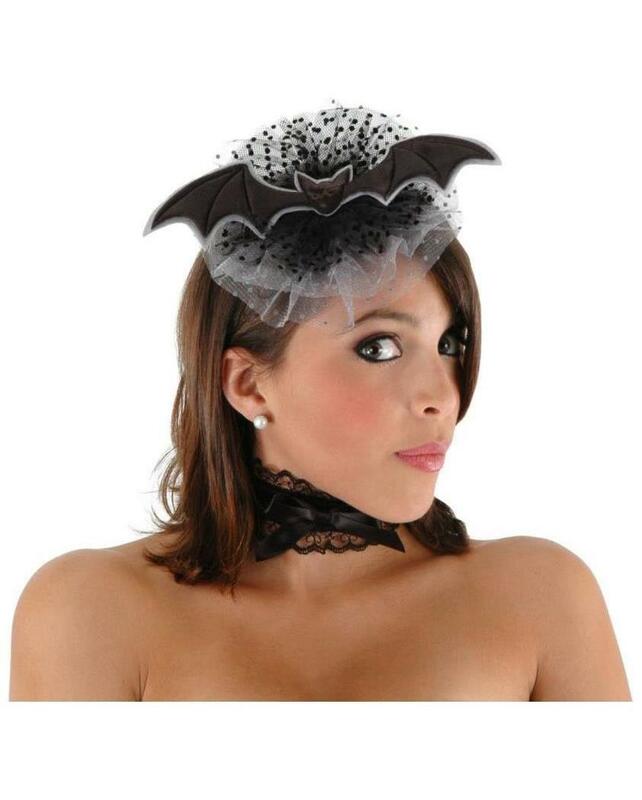 Vintage-inspired tulle headpiece with attached satin bat. Headpiece is held on with monofilament line worn like a headband. 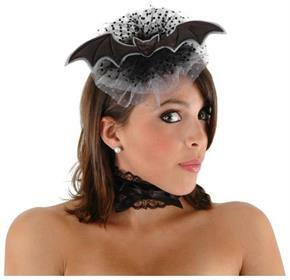 Adjustable matching satin and lace choker is included! Can be worn by children or adults.